TO DELIVER THE ULTIMATE CUSTOMER EXPERIENCE TO ALL OUR CLIENTS. Brian is the business and project manager at the “nerve center” of our operation who by virtue of being in the UK, is able to connect with both the East and the West time-zones in any given 24 hour period. Agung and Lex are both based in Southeast Asia, (Indonesia and Philippines respectively) and provide animation and graphic design skills that are out of this world. Karen and Jeff are both based in the USA and their silky smooth voices, professionally recorded in high end studios, bring life to the bulk of our videos. What this all means is when you work with us, you are dealing with a LEAN and EFFICIENT Machine that will create value for your business, at a fraction of the cost. We have no excess overheads, no excess employees and we create no waste . As a result, we are able to offer you really competitive rates that no-one can beat . We’re proud of that. But…don’t take our word for it – Get a Quote today! We only use the very latest technology and follow all new trends in our video production. 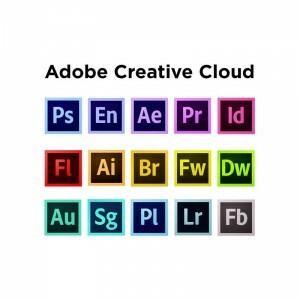 When it comes to Creativity Products, we believe nothing beats the Adobe Creative Cloud suite of creative applications. That’s what we use.